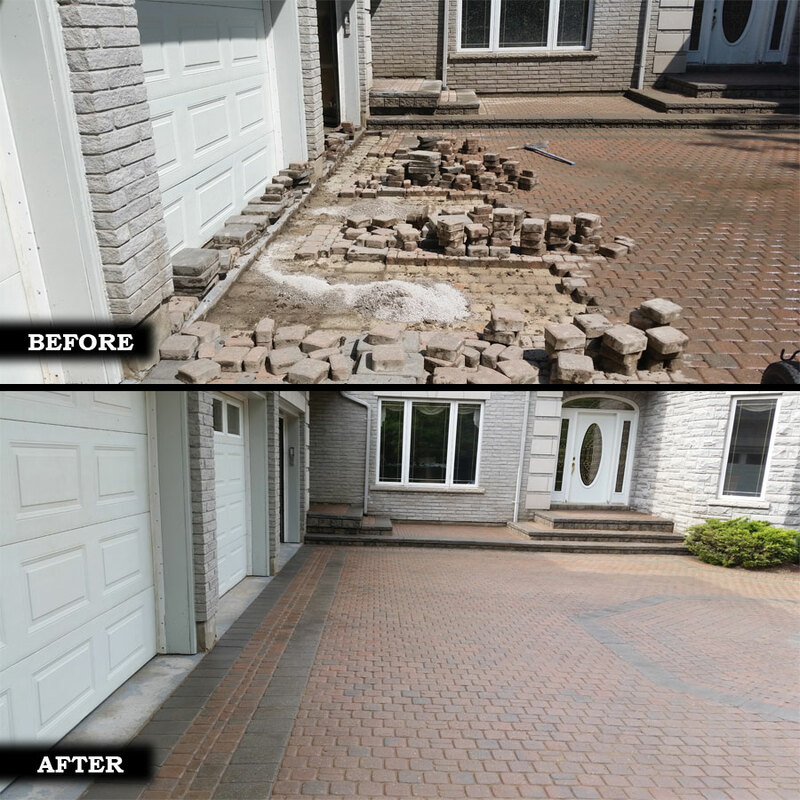 Your existing interlock stones can be saved by re-grading, re-compacting and re-leveling the affected areas where stones have sagged or lifted over time due to a poor base foundation. No need to replace all interlock stones because of a small fraction of an area is affected. This method is cost-efficient, brings pride in home ownership and encourages you to enjoy your outside lifestyles once again!